This highly portable single sided literature stand holds A4 brochures and leaflets in four portrait positioned polycarbonate pockets. 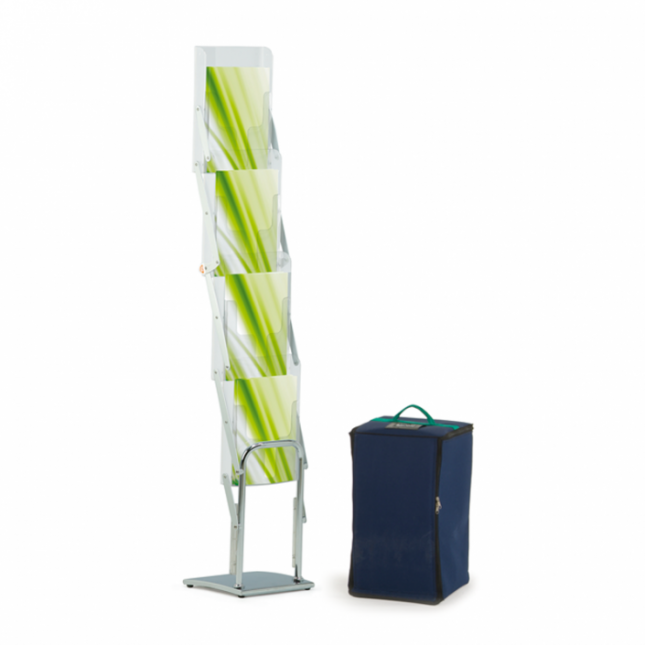 The brochure pockets on this literature stand are virtually unbreakable, making it ideal for the events circuits. 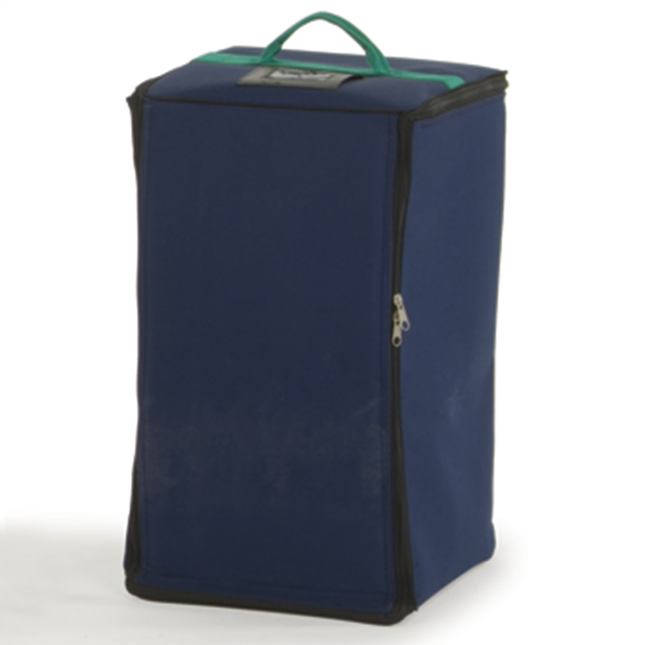 The durable literature stand folds down easily and is stored within the strong carry bag included. 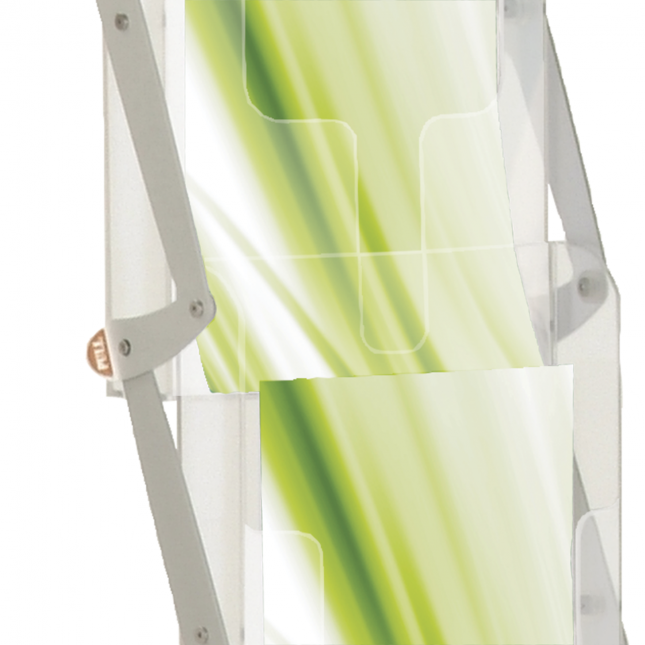 The Media 4 Deluxe Literature Stand has a stylish chrome base, which offers great support and structure for your display brochures and leaflets. This literature stand works perfectly for exhibitions and events where you need a high quality solution to displaying your company brochures as well as something that is easy for your team to set-up and take down at each event. Equally, if you are looking for a literature display for a reception area, retail environment or showroom the Media Deluxe 4 looks professional and it's robust design will ensure it does not let you down. 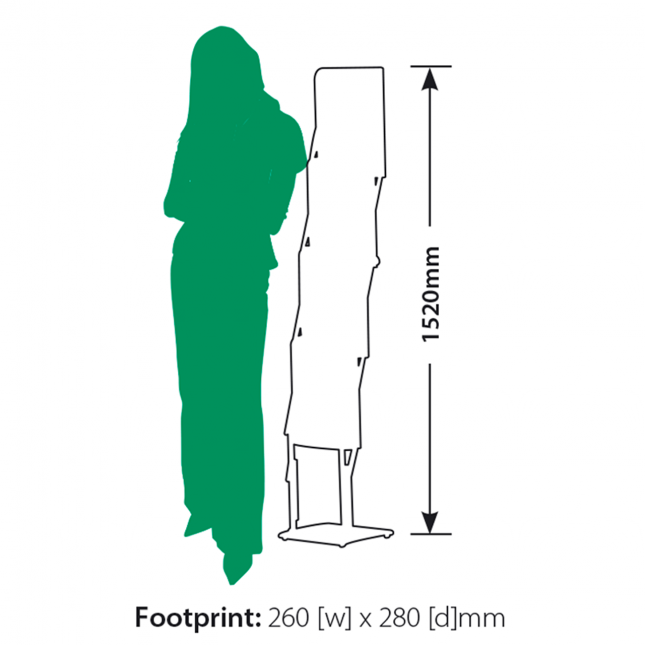 Why choose the Media 4 Deluxe Literature Stand?